Kaplan's TASC Prep provides expert strategies, online practice, and video tutorials to help you pass all five subjects. In this new edition, eight chapters were moved online so your book is more portable and more customizable. Our book and online resources are designed for self-study so you can prep at your own pace, on your own schedule. Kaplan is so certain that TASC Prep offers the guidance you need that we guarantee it: after studying with our book, you'll pass the TASC—or your money back. 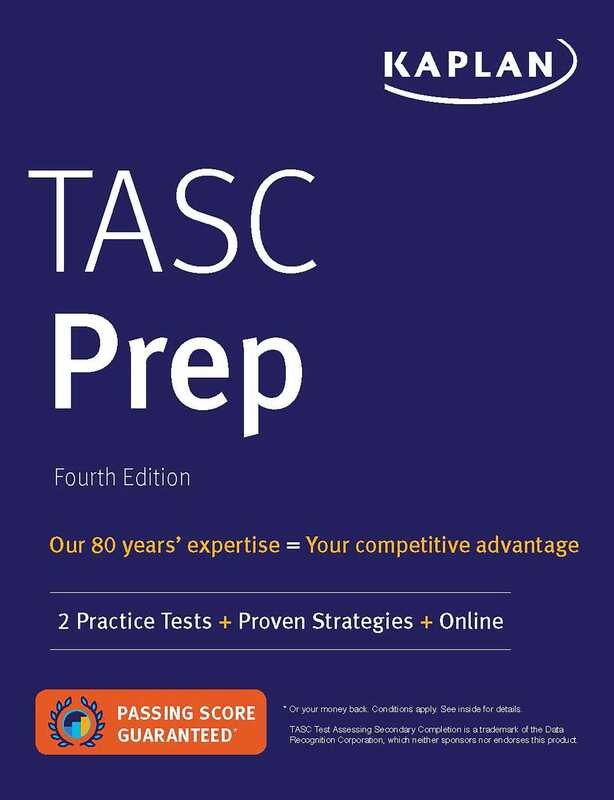 The previous edition of this book was titled TASC Strategies, Practice, and Review 2017-2018. The TASC is a high school equivalency test that is an alternative to the GED test and the HiSET exam. To find out whether your state uses the TASC for high school equivalency tests, contact your state's department of education.